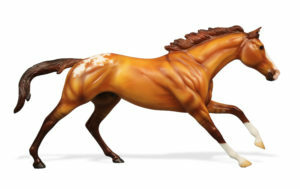 Home » Model Horse	» BreyerFest 2016 Prize Models & Raffle Models Oh My! 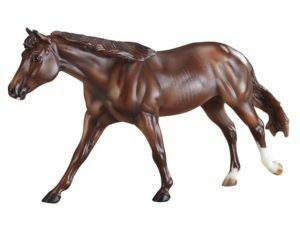 BreyerFest 2016 Prize Models & Raffle Models Oh My! 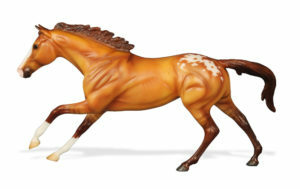 Breyer is certainly offering a wide range of BreyerFest 2016 Prize Models and Raffle Models. The Early Bird Raffle model is Palomar. 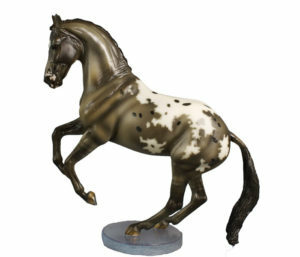 He is the Smarty Jone mold with a roached mane and a knotted mud tail in a beautiful varnish appaloosa. 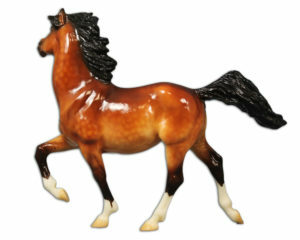 He is a 1 of 3 that will be raffled off to people that purchased their BreyerFest 3 Day Tickets by April 13th. You must be present to win. I confess that I have never been to an Early Bird Raffle despite having purchased my BreyerFest 3 Day Tickets early. I um *hope* that my name has never been called. 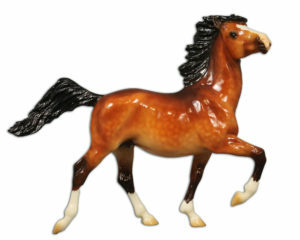 The Early Bird Raffle is held at the Breyer Booth in the old indoor arena at 4:30pm on Friday. The Saturday Raffle model that can be won by purchasing Raffle Tickets is Cinza. 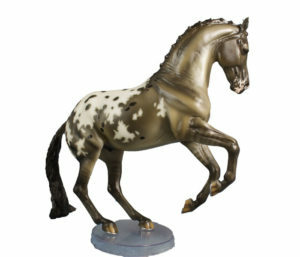 He is the new Valegro mold sculpted by one of my favorite artists, Brigitte Eberl. Cinza is a droolicious grulla appaloosa. The Cinza raffle will be held at 4:30pm on Saturday in the old indoor arena and 25 horses will be raffled off. I believe that tickets sales are cut off at 4:00pm so be sure to get your tickets early. I would *love* to own this model for my personal collection. If you happen to be drawn for one and are looking to sell, please contact me. The Sunday Raffle model that can be won by purchasing Raffle Tickets is Areia. He is the new Premier Club Geronimo mold that was sculpted by Mooning Piglet Studios. Areia is a dreamy palomino pinto. The Areia raffle will be held at 1:00pm on Sunday in the old indoor arena and 25 horses will be raffled off. I believe that ticket sale are cut off at 12:30pm so be sure to get your tickets early. 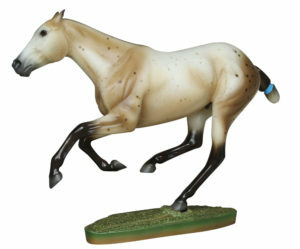 The Carnavelsco Challenge Model Horse Diorama Contest Prize Model is Pele. He is the old Buckshot mold in a surprisingly beautiful glossy dappled bay. I’m not sure on the exact number of models that are awarded. 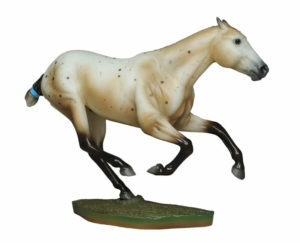 You can find more information on the Diorama Contest on Breyer’s Website http://www.breyerhorses.com/bf2016-contests Winners will be announced after the Saturday Raffle in the old indoor arena. 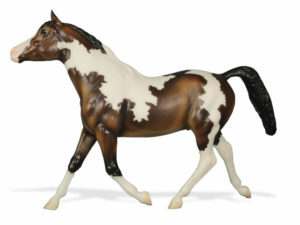 The BreyerFest Open Show Sectional Grand Champion Prize Model will be a glossy 1759 Cortes C.
The BreyerFest Open Show Sectional Reserve Champion Prize Model will be a glossy 1737 Don’t Look twice. 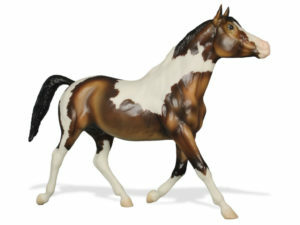 The BreyerFest Open Show Overall Grand Champion prize model will be Senna. 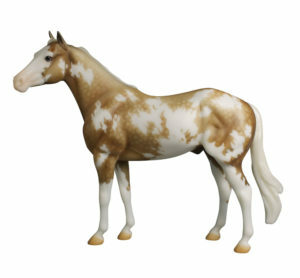 He is a beautiful red dun blanket Appaloosa on the Cigar mold. The BreyerFest Open Show Overall Reserve Champion prize model will be Brigadeiros. 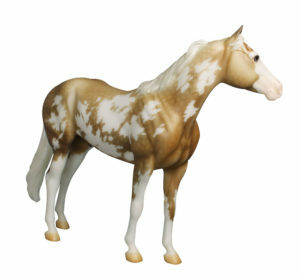 He is pretty bay tobiano pinto on the Morganglanz mold. There are a lot of special BeyerFest 2016 Prize Models and Raffle Models that can be won! Who is your favorite? Who will you be entering for? 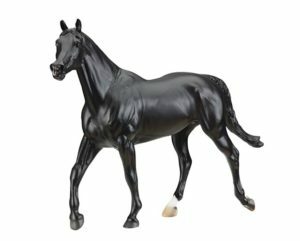 2 Responses to BreyerFest 2016 Prize Models & Raffle Models Oh My!